Building and construction law relates to all types of disputes which might arise during a building project, from conservatories to large commercial redevelopments. The law covers disputes between customer and builder, builders and sub-contractors, disputes with architects, surveyors and engineers. Often building and construction disputes involve complaints about the standard and quality of construction work or delay in getting the job done. If you have a legal matter involving any issue regarding building and construction, then please complete your free legal enquiry form on the left, or click here. Broadly speaking Building and Construction Lawyers handle all legal disputes arising from the building and construction process - from land acquisition and construction to management of post-construction settlements. • claims under the Building and Construction Industry Security of Payment Act. • project managers and other professionals. In relation to contentious matters, building and constructions lawyers can place a strong emphasis upon acting alongside their client in order to avoid developing disputes. Where negotiation or mediation is inappropriate, building and constructions lawyers have a robust and vigorous approach to the resolution of disputes by adjudication, arbitration, litigation or expert determination as circumstances require. Construction focuses around contentious and non-contentious work. The former involves early dispute resolution through settlements, arbitration, third party mediation or finally, litigation and adjudication. Non-contentious work includes: preparation and negotiations on building projects, assisting on areas of procurement of various resources and materials, and advising on environment, health and safety, insurance and other matters. Projects can include segments other than construction, like infrastructure projects for roads, hospitals, public amenities, and prisons; industry-specific projects such as those in oil & gas production, operations in power generation, water and hydroelectric projects such as dams, reservoirs and so on. A projects’ lawyer works in collaboration with other colleagues and professionals in project finance and real estate/property to see projects through to fruition. The movement towards Public Private Partnerships (PPP) has seen the advent of private finance and management into what previously was governmental domain, and many public projects are today executed with Private Finance Initiative, not only in the establishment and execution phase, but also in running future operations and management of such enterprises. What is involved in Construction Law? (e) on completion and handover of the project as per contractual terms, and assist in completing registration, tax and other formalities. Contentious practice, as mentioned above comes into play when disputes arise at any stage of construction, or after completion. In the past, litigation was resorted to frequently to resolve disputes, given the large amounts of money and certain loopholes in existing law which made it easier to litigate endlessly. But in recent years legal reforms and tighter regulation within the industry have ensured that the use of litigation as a means of dispute resolution has been strictly curbed. If you have a legal matter involving a dispute with a builder, then please complete your free legal enquiry form on the left, or click here. The rule of thumb in the construction industry today is that all agreements must have distinct provisions on alternative dispute resolution, should future issues arise. Arbitration is a mandatory clause in some of the newer lot of contracts, and if it becomes necessary to seek judicial intervention, then the dispute should be resolved through adjudication. If you need a building and construction lawyer, then please complete your free legal enquiry form on the left, or click here. A construction and projects lawyer should be well-equipped with basic skills in negotiating and drafting procedures, have excellent interpersonal skills and the ability to work in large teams made up of different kinds of professionals. construction and projects lawyer is knowledgeable and updated on latest developments and trends in finance, real estate, construction, planning, infrastructure development, and when working on industry-specific projects, has a thorough understanding of that industry. Personal qualities of a construction and projects lawyer include a creative & lateral thought process, the ability to breakdown complex structures and concepts into simple facts, strategic and analytical thinking, some even have technical knowledge and expertise in related professions such as architecture or engineering. If you have a legal matter involving any issue regarding building and construction, then please complete your free legal enquiry form on the left, and we will put you in touch with a construction lawyer who is able to help you with your matter. Building and construction law is the complex structure of legislation and case law which deals with construction. Perhaps more than any other area of law, building and construction law epitomises the complexities of contract law. There is a significant number of lawyers and legal professionals which specialise not only in building and construction law, but in specific areas within that such as project finance law, building litigation and planning permission applications. The reason so many different areas of expertise are needed is because the field of construction commonly creates disputes. One of the most interesting legal aspects to come out of building and construction law is the contract-law issue of economic duress. Under contract law a contract is not legally binding on a party if that party entered into the contract under duress. The relatively new concept of economic duress means one party to a contract is not allowed to extort another into agreeing to terms by putting unfair economic pressure on that party. For example: a building contractor agrees a contract to build stalls which the client intends to let out during a trade event. A few days before beginning the work the contractor informs the client that the building work will not take place unless the client pays additional sums. The client, which already has contracts with other companies to let the stalls and therefore will have serious financial liabilities if the building work does not go ahead, agrees to pay more at this stage. It would be held by the courts that in such a case the agreement of the client was a result of economic duress and that the extra sum paid be subtracted from the total. If you are experiencing a dispute which is affected by building and construction law, it is vital that you see a professional in order to better understand your legal position. Building and construction disputes are often complex and can involve wide ranging issues. Building and construction lawyers have extensive experience in advising contractors, developers and other industry professionals on construction disputes. Building and construction lawyers can provide practical, commercial and cost effective advice on how best to resolve any disputes that arise in the course of your business, including disputes arising out of breaches of construction contracts. Building and construction lawyers can advise on standard form contracts and legislation such as the Housing Grants including other government grants. Building and construction lawyers believe that it is very important that they are involved in advising you at an early stage. That way Building and construction lawyers can advise you on how best to avoid a full blown dispute, for example by pursuing negotiation or mediation, which could ultimately save you legal costs and limit the disruption to your business. If negotiation or mediation is unsuccessful or is not appropriate in the circumstances, Building and construction lawyers can advise you on other options, such as arbitration, adjudication, expert determination and the issue of court proceedings. If you need legal advice regarding Building & Construction Law, then please complete your free legal enquiry form on the left, and we will put you in touch with a Building & Construction Law lawyer nearest you, who can help you with Building & Construction Law. Our free legal enquiry service for Building & Construction Law extends to all suburbs throughout Australia. An excavator is parked at the construction site of an apartment block in the suburb of Epping, Sydney, Australia February 1, 2019. Fourth-quarter construction work was much weaker than expected, hit hard by a sharp contraction in residential building, and is expected to be a significant drag on the broader economy. The owners corporation behind the Opal Tower says it has "many questions" to be answered before it approves repair work for the damaged building, meaning residents could be in temporary accommodation for months. With 259 units of the 392-unit apartment complex still empty following its evacuation, the NSW Government releases its final report into the Opal Tower cracks, finding that more work needs to be done. Thousands more properties could now be caught up in Australia's cladding crisis, as authorities issue an alert warning against the use of another nine types of the material, including cladding commonly used on single-storey suburban homes. A Melbourne CBD apartment complex damaged in a combustible cladding fire which has left hundreds of residents blocked from their homes was deemed a "moderate risk" building in an audit. The broad-based decline in construction activity, especially apartment building, is now hitting jobs and becoming a serious drag on the economy. These news come from Building and Construction. Requiring new members under 25 to opt in for insurance cover with their super fund. Requiring new members of any age to opt in for insurance cover where their account balance is less than $6,000. Removing insurance cover from inactive accounts. These changes were based on the view that young people are less likely to need cover and shouldn’t have insurance fees deducted from their super. While this might be a valid view for office-based staff, many of our employers operate in industries that score among the highest for injury and workplace accidents, according to data from Safe Work Australia. Cbus lobbied parliamentarians directly raising concerns that removing default insurance would have a disastrous effect on young workers in hazardous environments, and for those with a low balance. Ultimately, the Government’s Protecting Your Super package passed through the Senate, retaining automatic insurance for young and low balance members. This is great news for Cbus members. We were pleased that the work we did with the help of many of our employers and members has helped preserve automatic insurance for members under 25 years of age and for those with account balances less than $6,000. Young workers will retain these important protections. However, the Senate did pass legislation to alter automatic insurance cover from 1 July 2019, by preventing Cbus from continuing automatic insurance to all inactive accounts (no contributions or rollovers received for 16 months including the time before 1 July 2019, unless a member has directed otherwise). We understand that the Government may make further amendments to the legislation in 2019. Cbus will continue to make representations to ensure that the reforms are effective and in the best interest of our members. We will continue to keep you updated about this important legislation. This information is about Cbus. It doesn’t take into account your specific needs, so you should look at your own business needs, objectives and requirements before making any financial decisions. Read the relevant Cbus Product Disclosure Statement and related documents to decide whether Cbus is right for you. Call 1300 361 784 or visit www.cbussuper.com.au for a copy. The final Law Companion Ruling LCR 2018/4 has been published. Thank you for your feedback. Please note: these pages were updated on 29 June 2018. GST and the margin scheme (QC18646). Please note: these pages were updated on 19 June 2018. The links to these guides will be available on the GST at settlement page. Please note: the how to pay options were updated on 29 June 2018. The ACIF Forecasts for November foreshadow that the decline in the work done in the building and construction industries will slow over the next three years, with an upswing predicted from 2019-20. After some years of decline, a recovery in Non-Residential Building activity is expected, which includes an uplift in commercial building, including offices, retail and industrial building, reflecting increased business investment as well as in building required to support the underlying transition in the economy and employment towards the provision of services, including in tourism, accommodation, education as well as in health and aged care. The upturn in infrastructure construction in roads, rail, water, that has been in the ACIF Forecasts for some time, is now definitely gathering pace. These increases will offset the falls in mining and commodity export infrastructure that are in the construction project pipeline following the completion of a number of mega projects and the falls in Residential Building activity that have already begun. "Australia's success in the construction sector drives employment and productivity, which in turn encourages government investment in quality infrastructure. As Australia's population continues to grow at above trend levels, now more than ever, we need quality infrastructure and buildings.” said Adrian Harrington, Chair of ACIF’s Construction Forecasting Council, which oversees the production of the ACIF Forecasts. The value of all of the work done in the building and construction industries fell by 4% last year to arrive at $218 billion. The November 2017 ACIF Forecasts project that total building and construction work will continue to fall over the next three years, but the decrease will become smaller each year. The fall in total building and construction activity is projected to dip to just 0.3% by 2019-20, leaving total work done at $203 billion. Approvals peaked two years ago and we are now on the downside of the residential building cycle. The number of new houses built fell last year. The rate of growth in the building of New Other Residential dwellings (such as apartments and townhouses) fell last year from the extraordinary highs seen for some years in some states, particularly in Queensland, New South Wales and Victoria. All categories of Residential Building are expected to fall over the next two to three years. This will push the value of work done in this category of building down from $96 billion in 2016-17 to $84 billion by 2019-20. Economic accounts show that business investment in areas outside of mining is recovering. Non-Residential Building activity is already growing in the states that were less exposed to a hangover from the end of the mining boom. While there are some challenges to overcome, including the need to address competition from new technologies and lingering scars from previous periods of overbuilding and over supply, Non-Residential Building activity is projected to see growth over the next three years, rising from $36 billion in 2016-17 to $39 billion in 2019-20. Engineering Construction fell by 10% last year to reach $85 billion. A rebound in infrastructure investment in Roads and Bridges, Railways and Harbours, in Water and Sewerage and in Electricity and Pipelines is underway and expenditure is expected to increase significantly in the next three years. This will slow down and eventually halt the down turn in Engineering Construction work done. Engineering Construction is forecast to fall and then level out at around $80 billion over the next three years. Differences in the performance and outlook of the building and construction industries in the Australian states and territories gives some credence to concerns about the “two speed economy”. The “mining states” – Western Australia, Queensland and the Northern Territory – account for $7 billion of the $8 billion fall in building and construction activity forecast for this year. Meanwhile the south eastern states are projected to hold on to present levels of building and construction activity over 2017-18. Increases in infrastructure investment and increases in Non-Residential Building in some of the south eastern states will fully offset the coming downturn in Residential Building activity maintaining construction activity current levels for the next three years. Employment in the building and construction industries increased to 1,111,000 jobs last year, making a helpful contribution to employment growth in the economy at large. Given the projected falls in overall building and construction activity in the next three years, and the falls in labour intensive Residential Building activity in particular, employment in building and construction activity is projected to fall to 1,041,000 jobs by 2020-21.
the Customised Forecasts Dashboard ($200), an online portal where users can query the full ACIF Forecasts database on 20 work types, over a twenty year period. As an industry not-for-profit, ACIF produces this information to assist businesses and governments at all three levels navigate the rapidly changing marketplace and help them plan for the future. Find out more at www.acif.com.au/forecasts. Our industry is facing continual changes to compliance and new product requirements, making it a burdensome task to ensure proper adherence to codes and regulations. In this ACIF Webinar, held on Friday 27 October 2017, we discussed whether the upcoming changes in legislation and regulation will hinder or assist your business. Recording of this webinar is available for registered users of the ACIF website. Subscribe as an Enews Subscriber for free here or login now to then click here to view this recording and more ACIF Webinars in our Education Centre. The construction and building industry is facing rapid change as new technologies, materials and regulation directly impact upon the successful delivery of the building projects. Changes in legislation to the Australian Building Codes Board (ABCB) will affect regulation and compliance. Failure to comply could result in costly fines, yet the benefit enhances the reputation and financial security of our industry. Michael has over 20 years’ experience in education/training, IT and consulting services. In 2007, he founded Pointsbuild, and is responsible for the company’s leadership, strategy, execution and day-to-day engagement. Prior to Pointsbuild, Michael worked with Microsoft in consulting services. Pointsbuild isthe leader in the delivery of professional development platforms, education and training and related services for all sectors of the building and construction industry. The company offers over 130 courses and delivers over 20,000 activities each year to more than 7,000 customers. The ACIF webinar held on 29 September 2017 focused on the most important tool to improve productivity in today's building and construction industry: technology. New research shows which 15 processes can yield the best ROI when automated with technology. The construction industry is known for facing uncertainty and managing competitive forces better than most. These mounting pressures result in an ever-growing need for collaboration, process efficiencies and improved decision making to, not only survive, but, succeed. Hobson & Company, a leading research firm focused on Return on Investment (ROI) studies, worked with Viewpoint, a leader in construction and collaboration software, to explore these challenges and learn how industry leaders are responding. In that process, they identified the 15 key construction work processes that yield the greatest ROI when fully automated. Join Maury Plumlee, Viewpoint’s Vice President of Global Marketing, for an exploration of the top areas to focus on for improvements in productivity, risk mitigation, and profitability. Maury has been a member of the Viewpoint team for more than 35 years. He currently oversees Global Marketing, leading a high energy team that’s driven to promote Viewpoint’s unique brand story and help execute on the company’s goal of construction market leadership in all geographies served. Prior, Maury had direct responsibility for North America sales of all Viewpoint product lines, including the company’s flagship product, Vista by Viewpoint. Maury led a team of 60 sales professionals and a growing network of business partners throughout North America and Australia. Work-related injury and disease cost the Australian community $61.8 billion in a year, and National Safe Work Month is an opportunity to focus on reducing the cost of fatalities, disease, injury and illness in your business. This October, commit to improving work health and safety by running a safety initiative in your workplace. This October, commit to improving work health and safety by running a safety initiative in your workplace for National Safe Work Month. Safe Work Australia has resources and a campaign kit to help you do this – including activity ideas, posters, factsheets, statistics, flyers, videos and other campaign materials. Safework Australia is an Australian government statutory body established in 2008 to develop national policy relating to WHS and workers’ compensation. Jointly funded by the Commonwealth, state and territory governments through an Intergovernmental Agreement, they perform functions agreed annually by Ministers for Work Health and Safety. This includes research on the cost of unsafe work within the Australian workplace. Direct costs include items such as workers’ compensation premiums paid by employers or payments to injured or incapacitated workers from workers’ compensation jurisdictions. Indirect costs include items such as lost productivity, loss of current and future earnings, lost potential output and the cost of providing social welfare programs for injured or incapacitated workers. The level of costs borne by each economic agent varies with the severity of the injury or disease. While measures of direct costs are understood and reasonably simple to measure, these costs cover only a fraction of the total cost of work-related injury and disease. Our report The Cost of Work-related Injury and Illness for Australian Employers, Workers and the Community: 2012–13 provides updated estimates of the cost of work-related injury and disease to the Australian economy, based on methodology developed by the National Occupational Health and Safety Commission in 2004. Cordell’s construction data suggests that the value of apartment and unit development applications across Australia peaked in September of 2015. Cordell estimated the combined value of residential construction applications at $22 billion. At this time, residential applications accounted for almost half of Australia’s construction pipeline. Fast forward to the June 2017 quarter, and the value of residential development applications has fallen to just $8.9 billion. The number of ABS dwelling approvals has trended down to 2.8% in houses, and 26.2% in other dwellings in the year to June. This ACIF Webinar featured Eliza Owen, CoreLogic Commercial Research Analyst, who explored the post-peak market for residential building. Applications for residential developments have fallen in recent months, and Eliza discussed the drivers for this change, as well as how this change affects the different sub-sectors for residential building. She outlined where the shift has been and where it is going to. This ACIF Webinar pairs CoreLogic’s rigorous housing market data with Cordell construction figures. This provides attendees with an understanding of housing market performance, housing construction, and where future opportunities exist in the construction sector. The Australian Prudential Regulation Authority (APRA) has introduced measures to limit exposure to residential developments, and limit lending to investors. In New South Wales, where investors comprised 46% of the mortgage market in May, increases to mortgage rates are likely to reduced demand for dwellings. There is speculation that slowed demand for dwellings and institutional interventions from APRA will impact the value of construction work to be done across Australia. However, Cordell data indicates that residential building has a declining share in building applications. The value of the total Australian construction pipeline surged in the June 2017 quarter. Combined construction application values rose from $36.6 billion in March to $51 billion in June. Of this, just 17% of the value was made up of residential building applications. Eliza Owen joined CoreLogic with the acquisition of Residex in mid-2016. She graduated with a first class honours economics degree from the University of Sydney in 2014, while working as a researcher and writer on the residential housing market. Her knowledge and experience of property research saw her appointed to the role of CoreLogic Commercial Research Analyst in January 2017. Eliza specialises in researching and reporting on commercial market trends, the construction sector and the interplay of these segments with broader economic factors. Eliza has forged a name for herself in print media, television and radio, providing up-to-date commentary on commercial property using the expansive CoreLogic database. Eliza is also a proficient and popular keynote speaker on housing market matters. Eliza is also a member of the Construction Forecasting Council. CoreLogic Australia is a wholly owned subsidiary of CoreLogic (NYSE:CLGX), which is the largest property data and analytics company in the world. CoreLogic provides property information, analytics and services across Australia, New Zealand and Asia, and recently expanded its service offering through the purchase of project activity and building cost information provider Cordell. With Australia’s most comprehensive property databases, the company’s combined data offering is derived from public, contributory and proprietary sources and includes over 4.4 billion decision points spanning over three decades of collection, providing detailed coverage of property and other encumbrances such as tenancy, location, hazard risk and related performance information. Leaders from government, industry and academia are partnering to provide leadership on the adoption of BIM and Project Team Integration (PTI). The Australasian BIM Advisory Board is linking industry leaders and expertise from government, industry and academia, and promoting best practice and consistent approaches to BIM practices, standards and requirements. The first project, Exchange Information Requirements (Client specifications), will provide an essential foundation to assistance to the Australasian construction industry by creating a common framework and language for everyone involved in the construction process. The second project is to provide a National Framework for Intellectual Property for BIM, which will assist with education and collaboration across Australia. It will demystify and simplify what is required. The third project, Process Consistency in BIM, will identify and promote which BIM elements should be consistent across Australasia to ensure the optimisation of BIM benefits and therefore eliminate waste in construction practices. 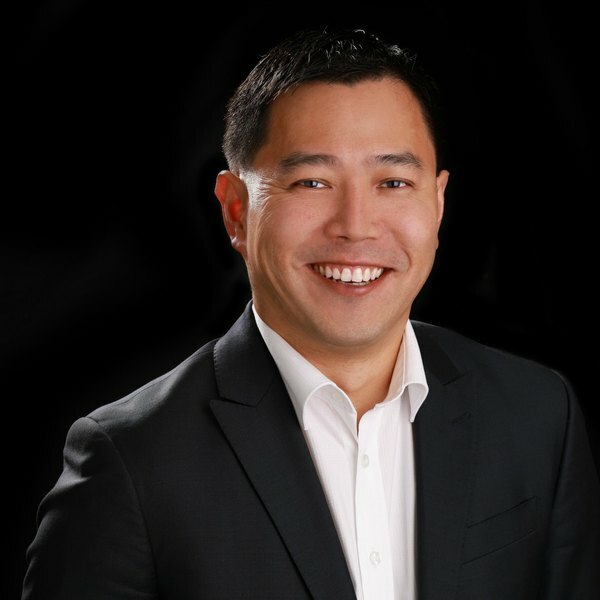 The unique peer review process that is behind the building and construction industry’s own 10 year forecasts, the ACIF Forecasts, has received a boost with the return of property expert Bruce Wan. Bruce had previously been a member of the Construction Forecasting Council (CFC), contributing his expertise to reality test the data before release to the industry as the ACIF Forecasts. His recent appointment as Head of Property Research for RF Capital has provided him with the perfect opportunity to return to the CFC with increased depth of knowledge and commitment to analysing the prospects for the building and construction industry in Australia. “After participating in the Construction Forecasting Council for several years, I have seen first-hand the exceptional value this Council provides to the construction industry and the investment community,” said Bruce. Members of the Construction Forecasting Council contribute their time in reviewing the macro economic drivers and construction market forecasts that become the ACIF Forecasts. This group of industry leading economists, researchers and analysts review the data and the assumptions presented by the ACIF Forecasts economics team, and add enormous value in not only the detailed review of the numbers but also often contribute specialist knowledge of behaviour from their section of the industry. The result is a robust set of forecasts for all sectors of building and construction that are reliable and relevant for the thousands of subscribers to the ACIF Forecasts. Find out more about the ACIF Forecasts and the Construction Forecasting Council here. Compliance isn’t a Dirty Word! As non-mining infrastructure projects have become a national priority, Australia is in an exciting phase of development. ACIF’s industry forecast released in May, forecasts turnover close to $80 billion for the construction sector. Equally, the residential building sector is projected to complete over 200,000 homes – the largest on record – resulting in an estimated turnover of $100 billion. To build upon its work to drive improvement and excellence in the construction industry, the Australian Construction Industry Forum (ACIF) has today established its first-ever education partnership with online education and training company, Pointsbuild. One area where education assists the construction industry is to reduce defective building work. According to recent research, five per cent of the value of residential building work in Australia each year is defective building work. In 2015-16, the estimated cost of rectifying defective building work was $3.3 billion. There are numerous additional benefits to the construction industry and clients in reducing defective building work, such as a reduction in the time and cost of resolving disputes, lower insurance costs, a more competitive and skilled industry, and increased consumer confidence. While some of these benefits, such as consumer confidence are immeasurable, it is estimated that the overall benefit of reduced defects and regulatory costs for finishing trades alone would be over $69 million annually. “Keeping current with training and understanding the latest building material and technical developments in the building and construction industry, is key to tackling these issues. We are pleased to partner with Pointsbuild as they have innovated education through technology to make it easier for both employers and individuals to manage their ongoing education needs,” said James Cameron, ACIF Executive Director. Pointsbuild is an Australian Registered Training Organisation (RTO) and leader in the delivery of education, training, professional development and related consulting services for the building and construction industry. Pointsbuild offers an innovative online platform to deliver and manage continuing professional development, with over 130 courses. Over their multi-year partnership, ACIF and Pointsbuild will seek to engage with many of the 1.1 million Australians working in building and construction, to show them how they can easily update or upgrade their skills for their trade or profession. “Our industry is facing rapid change as new technologies, materials and regulation directly impact upon the delivery of the building projects. Understanding and applying the changes can be a burdensome task. We applaud ACIF for supporting its members. We’re excited to be the first education partner, and look forward to working with ACIF members and providing the necessary online training resources and tools,” said Michael Tomlinson, Pointsbuild Managing Director. Build Better: The Economic Benefits of Licensing Building and Construction Finishing Trade Contractors in Australia, January 2017. Australian Construction Industry Forum (ACIF) is pleased to announce that the Australian Window Association (AWA) has joined as a member of ACIF. AWA joins leading associations and institutes that are working together to improve productivity and sustainability of the building and construction industry. ACIF Members develop solutions to issues affecting the broadest cross section of the industry. As part of ACIF, AWA’s representatives will contribute to industry action on the key issues of product compliance and conformance. At a time when product quality and use has been highlighted by the tragic events of the Grenfell Tower fire in London, it is important to having strong leadership at ACIF from industry bodies committed to improvement in the safety in building products used by all Australians. “We are pleased to welcome the Australian Window Association and its executive as they join us in the development of a whole of industry response to the significant concerns around product conformance and compliance, and other key industry issues,” said James Cameron, Executive Director of ACIF. ACIF Members next meet in September, including the annual joint meeting with its government counterpart, Australasian Procurement and Construction Council (APCC), where industry and government leaders will work together to improve productivity and profitability of the building and construction industry in Australia. The Australian Construction Industry Forum (ACIF) joins with other organisations from the Australian building and construction industry and from around the world in expressing our dismay at the tragic loss of life in the Grenfell Tower building fire catastrophe in London. Our thoughts are with those who have been affected by this devastating incident. It is the opinion of ACIF that the appropriate processes and investigations must be undertaken and reports published before further comments are provided. In 2014 Australia experienced a somewhat similar building fire incident at the Lacrosse building at Docklands, Melbourne, at which fortunately there was no loss of life or injury. At present there is a Federal Parliamentary inquiry into non-conforming building products being used in the Australian building and construction industry. This inquiry should also inquire into the broader range of issues flowing from these and other overseas fire incidents including: codes and regulations, testing and approval of product design, selection, certification, construction and inspection of products as used, reporting, enforcement and appropriate consequences of non-compliance within the building process. Of importance too is the dissemination of information and the education of all building and design practitioners in the interpretation of the Building Code of Australia and the use of product. Australian governments, regulators and the construction industry should continue to cooperate and be vigilant to prevent similar tragedies occurring in Australia in the future; there should be no room for complacency on this issue. ACIF Forecasts are the most comprehensive building and construction industry forecasts, spanning 20 years and 20 types of work plus much more. Until midnight 30 June 2017, enjoy 10% off the ACIF Forecasts when you buy a copy of the Australian Construction Market Report or subscribe to the Customised Forecasts Dashboard. Receive the tax benefits sooner for your business to have the latest industry intelligence - use the code EOYFS17 at the checkout on the ACIF website. 90+ page report with detailed commentary, data and charts on the economic drivers for our industry, and 10 year forecasts for residential building, non-residential building and engineering construction. Full access to ACIF Forecasts data. Subscribers can tailor forecasts for their business type and location, on the upcoming work demand, labour requirements, outlook for construction costs and more. ALL information for the ACIF Forecasts May 2017 release. This new package includes the Australian Construction Market Report May 2017 plus subscription to Customised Forecasts Dashboard for the full database of the May 2017 ACIF Forecasts. ALL information for the ACIF Forecasts. Includes the two Australian Construction Market Reports released during the subscription period plus access to the Customised Forecasts Dashboard. What are the ACIF Forecasts? Watch this brief video to find out more about the ACIF Forecasts or visit here. Australian Construction Industry Forum (ACIF), the peak consultative body for the Australian building and construction industry, has welcomed a new Chair at its recent Annual General Meeting. Norman Faifer, immediate past president of Australian Institute of Building, was warmly welcomed to his new position by ACIF Members. Norman brings to the role a wealth of experience and broad range of skills, having achieved much in his 40+ year career in building and construction. Norman’s unique mix of skill sees him a great choice as Chair for the meeting place of the trades and professions that work together to build important assets from homes to bridges and hospitals. Norman’s career began as a builder, and he has built upon his skills with qualifications from related professions including quantity surveying. He currently consults widely in the industry as a building consultant, superintendent, assessor and certifier. He also appears in tribunals and courts as an expert witness in building and construction matters. As a Fellow of each of Australian Institute of Building, Australian Institute of Quantity Surveyors, Institute of Arbitrators and Mediators Australia and the Resolution Institute, Norman is well positioned to moderate the dynamic and sometimes challenging debate between the various partners in the asset development process, from architects to builders, trades and prefabrication manufacturers. Outgoing Chair of ACIF, Ian Pedersen, was thanked and his efforts recognised by ACIF Members of at the Annual General Meeting, for his leadership over the past two years as Chair, and over 10 years as Director. Several ACIF Member organisations have commenced a program whereby members of their own association or institute can enjoy free access to the ACIF Forecasts, to aid their business planning. Australian Institute of Building Surveyors has provided full access to all of its current members, who have received an email from ACIF with their access details for the Customised Forecasts Dashboard plus a link to download the latest Australian Construction Market Report. Members from two other ACIF Member organisations are able to subscribe to the ACIF Forecasts for free via their Association. Insulated Panel Council Australasia and Australian Institute of Quantity Surveyors members can simply login to their Association website and follow the link to subscribe for free, and immediately gain access to the full ACIF Forecasts in both the Report and Dashboard formats. Members of AIBS, IPCA or AIQS needing more information about this special member benefit are encouraged to contact their association for more details. The recent release of ACIF Forecasts May 2017 showed that the value of aggregate construction work done peaked at $248 billion in 2013-14, reflecting the influence of the investment phase in the mining boom. The total value of work for 2016-17 is forecasted to be $215 billion, which is an aggregate level not seen since 2011. The synchronised double dip due to the downturn in mining and housing booms will push the value of work done in aggregate construction down further to $194 billion by 2019-20. The dominant sector Residential Building saw growth of 10.5% in 2015-16, lifting the value of work done to $95 billion. However leading indicators show that growth has peaked. Growth in Residential Building at large is projected to fall to 4% this year (2016-17) and then activity will contract by a total of 16% over the three years to 2018-19. The sub-category most affected will be New Other Residential which is apartments and townhouses. A raft of policy measures have been implemented to reduce demand for housing, which has already raised interest rates for investors and reduced house prices in key markets. These include closer supervision of foreign buyers and more stringent prudential supervision on mortgage lending. The ACIF Forecasts are available two formats: Australian Construction Market Report, a 90+ page expert analysis on the economy and industry sectors, plus the Customised Forecasts Dashboard, an online portal where users can query the full ACIF Forecasts database on 20 work types, over a twenty year period. Find out more at www.acif.com.au/forecasts. Australian Construction Industry Forum has recently released the ACIF Forecasts for May 2017, which are available now as a data portal called the Customised Forecasts Dashboard, and also as the 90+ page Australian Construction Market Report. Click here for more details. Beyond the ten year forecasts across residential building, commercial and industrial work and engineering construction, the Australian Construction Market Report also includes articles and information from property and construction industry leaders. Featured contributors include quantity surveyors Rider Levett Bucknall (RLB), a long term contributor to the Australian Construction Market Reports since they were first published in 2012. In the May 2017 report, RLB has contributed a wealth of information including the Tender Price Index and the Crane Index, as well as information on anticipated construction costs in nine locations around Australia. CoreLogic is the largest provider of property information, analytics and property-related risk management services in Australia and New Zealand. CoreLogic is also the new parent company of Cordell, which has provided major project data to the ACIF Forecasts for over a decade. In this edition, CoreLogic explores the development hot spots across Australia, and the impact of projects on the future of cities. Also looking forward is another contributor, Adrian Harrington, Head of Funds Management for Folkestone. In this edition, Adrian analyses population projects and what it means for Australia’s infrastructure planning. “Its time to get it right…”, he says, and outlines how planning for Melbourne and Sydney is not keeping pace with strong population growth, and what that means for the future. Despite insufficient work planned, there still is a lot of infrastructure work forecast to be done. In this edition, Andrew Scott, Basic Materials and Industrials Analyst for RBC Capital Markets explores the infrastructure boom that is “finally” happening. Andrew’s analysis explores the increasing level of work to be done, and the positive trajectory ahead for this sector. Closer to home – literally – is a report by Shane Garrett from Housing Industry Association, on “Will home renovations spark the next boom?”. The importance of Australia’s home renovations market is often overlooked. However, during 2016, renovations work done on homes is estimated to have totalled around $33.06 billion, an increase of 2.7% on the previous year. This is not a sub-sector to be ignored, and Shane’s analysis of the work likely to be most popular in this area will be of great interest to businesses serving this market. ACIF thanks our valued contributors for their invaluable information. The ACIF Forecasts for May 2017 show that Engineering Construction is midway through a sharp downslide. Demand in the sector that includes mining-related construction, plus roads, rail and other large infrastructure is coming off a record-breaking peak driven by the mining development boom to take second position behind Residential Building. Residential Building is in the middle of its own boom. This has pushed growth beyond the housing fundamentals and a downturn is on its way. There is still a lot of work in hand in most sectors of the Australian construction market. The Engineering Construction sector is still going strong, and in 2016-17 is forecast to turnover close to $80 billion. There are still a number of large Infrastructure projects that are under development such as the development of the NBN or where plans are reaching an advanced stage including major road projects and new tramways/light rail projects. The boom in Residential Building will lift the value of work done to $100 billion over this year, completing 220,000 homes, the largest number on record. Non-Residential Building activity declined in 2015-16 to arrive at $36 billion in line with economic statistics showing soft non-mining business investment. Soft business investment conditions are expected to carry over into a further decline in Non-Residential Building activity in 2016-17 and 2017-18. In practice, Non-Residential Building activity is made up of a broad mix of activities and the drivers of investment differ by sub-category and the outlook for each sub-sector, including those of Offices, Education and Retail/Wholesale Trade, need to be considered carefully. “The Federal Budget clearly has put infrastructure spending as a key priority. As the ACIF Forecasts show, the engineering sector continues to decline from the record highs of the mining boom and residential building is close to peaking,” said Adrian Harrington, Chair of ACIF’s Construction Forecasting Council which oversees the production of the ACIF Forecasts. “The Federal Government clearly recognises that quality infrastructure is critical to ensure our cities and regions continue to grow and the significant role the construction sector plays in driving employment and productivity growth. "As an industry not-for-profit, ACIF produces this information to assist businesses and governments at all three levels navigate the rapidly changing marketplace and help them plan for the future." The Australian Government Budget 2017-18 is likely to assist in moderating the dual cycles that are bearing down on building and construction activity. Measures such as the establishment of the National Housing Finance and Investment Corporation and the First Home Super Saving Scheme are expected to support more affordable housing provision cutting in right when the ACIF Forecasts view that Residential Building will need some uplift. The $75 billion funding commitment in infrastructure investment over the 10 years to 2027 will be spread over all of the states and over the key infrastructure categories. Some of the activities mentioned in the budget are already listed in the ACIF Major Projects database. It is too early to say where the Budget measures are adding to forecast construction amounts, or adding certainty and funding to projects that have already been included in the May 2017 ACIF Forecasts. The ACIF Forecasts are available from Australian Construction Industry Forum from today. Available in two formats: Australian Construction Market Report, an 80+ page expert analysis on the economy and industry sectors, plus the Customised Forecasts Dashboard, an online portal where users can query the full ACIF Forecasts database on 20 work types, over a twenty year period. Find out more at www.acif.com.au/forecasts.